Movie Monday | It’s almost October! Let’s get scared. Just in time for Halloween, every parent’s worst nightmare comes true on screen in Prisoners. 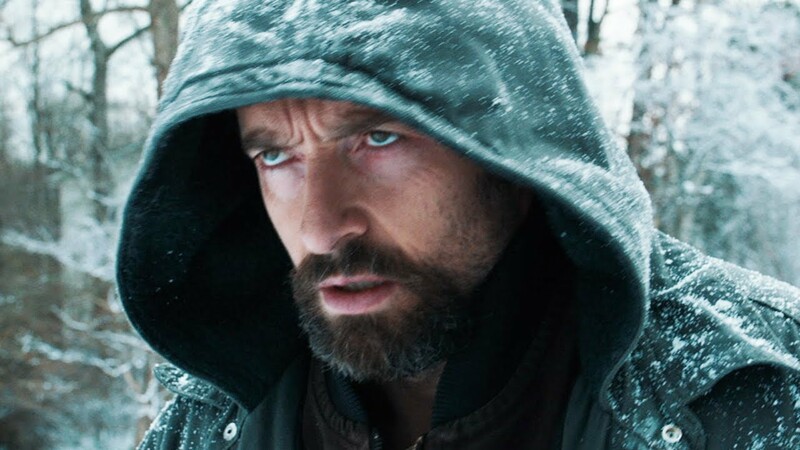 Star Hugh Jackman takes a turn as an emotionally distraught father (Les Miserables meets Gone Baby Gone) on the hunt for his missing daughter on Thanksgiving Day. After the prime suspect (an ultra creepy Paul Dano) is set free, Jackman and his neighbor/fellow father victim Terrence Howard decide to get answers out of the guy themselves, all under the radar of troubled, tired Detective Loki, played by a finger-tatooed Jake Gyllenhaal. Add a riveting Maria Bello and Viola Davis to the mix and you’ve a really convincing (Oscar-potential) case of desperate parents taking desperate measures. The emotional pull in this story is gripping, throwing suspense, disgust, paranoia and that feeling of insidious play-by-plays together in one huge stomach-dropping event. And at two and a half tough hours, get ready to be totally unsure of whether you want to throw up or take a cold shower once it’s over. Seriously. I’ll say it’s a must-see, but with the disclaimer that personally, I’ve never watched something so intense. Like, Gone Baby Gone on load of steroids. If that wasn’t enough, crazy James Wan and Leigh Wannell whip out their second installment to the Insidious saga… which I decided to see back-to-back with the previous flick. Chapter 2 picks up immediately where the last one left off, starting the jumping out of your seat and covering your eyes almost immediately. The two do such an incredible job of taking all of those things you were freaked out over as a child (and the things that still haunt you as an adult) and make the worst nightmare come out of them. We’re talking scary basements, violent old ladies, rocking horses and mystery beings under sheets. Not to mention the “what’s in the back of your closet” stuff. I mean, the duo really reaches deep into childhood and proves that your fright was justified all along. I love it. I’ve said it before (last year, when the first chapter scared the popcorn out of my bucket), but these guys really get to the heart of a scary movie. They showcase that you don’t have to douse someone in blood to get a communal shriek from the audience. You don’t have to chop heads off to make me cover my eyes. No, they instead revamp the importance of (really, freaking) scary music played at super, high decibels. They conjure up real people with adequate debilitations to totally shock you into scared. They base things in bad dreams, which we know everyone has. It’s universal. Chapter 2 leaves a few things untouched from the first, which means this could follow the road to Saw… which in itself may prove insidious. We’ll have to see where Wannell and Wan go from here. For now, I’m still a fan and this is my jump-fest film to recommend before you trick or treat.